One-hand Operation,Safe Driving Fully automated wireless car charger with build-in advanced infrared sensor. QI Wireless Charge?The wireless charging compatible with iPhoneX/iPhone8 Plus/iPhone8/Galaxy S9/Galaxy S9+/Galaxy Note 8/Galaxy S8/Galaxy S8+/Galaxy S7 Edge/Galaxy S7/Galaxy S6/Galaxy S6 Edge/Galaxy S6 Edge+/Galaxy Note 5/Google Nexus7/6/5/4/Microsoft Lumia 950/Lumia 950 Dual Slim/Lumia 950 XL/Lumia 950 XL Dual Slim/KDDI TORQUE G03/TORQUE G02/HUAWEI PORSCHE Mate RS/MI/MIX 2S/ZTE T85/ Moto Droid Maxx/Droid Mini/MOTO Droid turbo. Save you from the tangled locating cords or cables, the process plug cable in and out of device. Use Wireless charging charging your phone while driving. Two Installation Options Air vent mount and suction mount installation, employs a telescopic arm to allow for closer device viewing You could adjust the holder enable to hold the phone in a perfect viewing angle while driving. 2 in 1 function Combines wireless charger and phone holder in one unit. ?2-Port USB Car Charger? Come with a ultra-compact 24W dual 3. 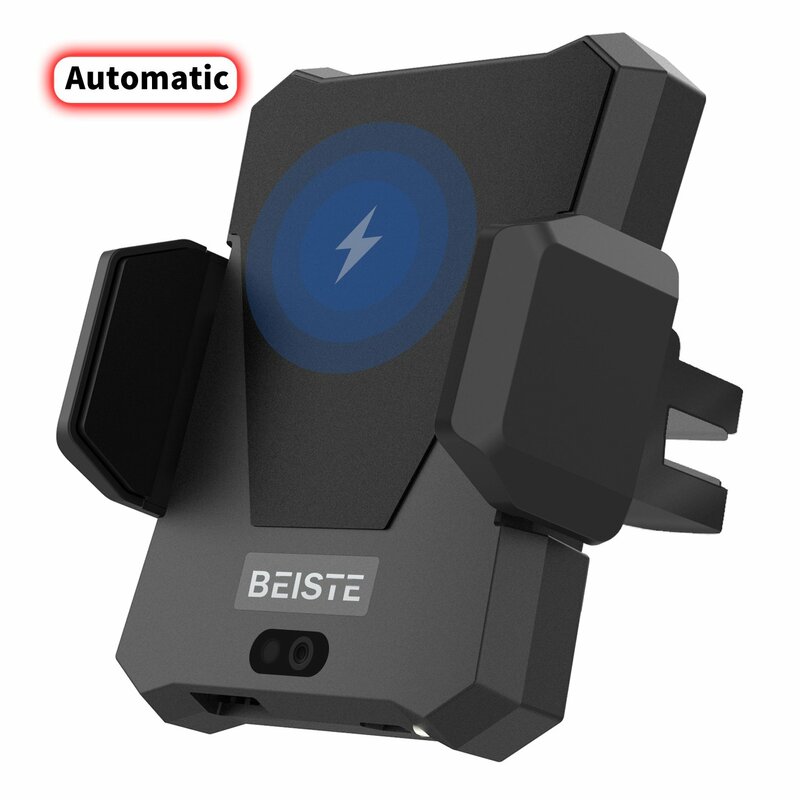 1A car charger for BEISTE automatic car mount. Charge two devices simultaneously at full speed.